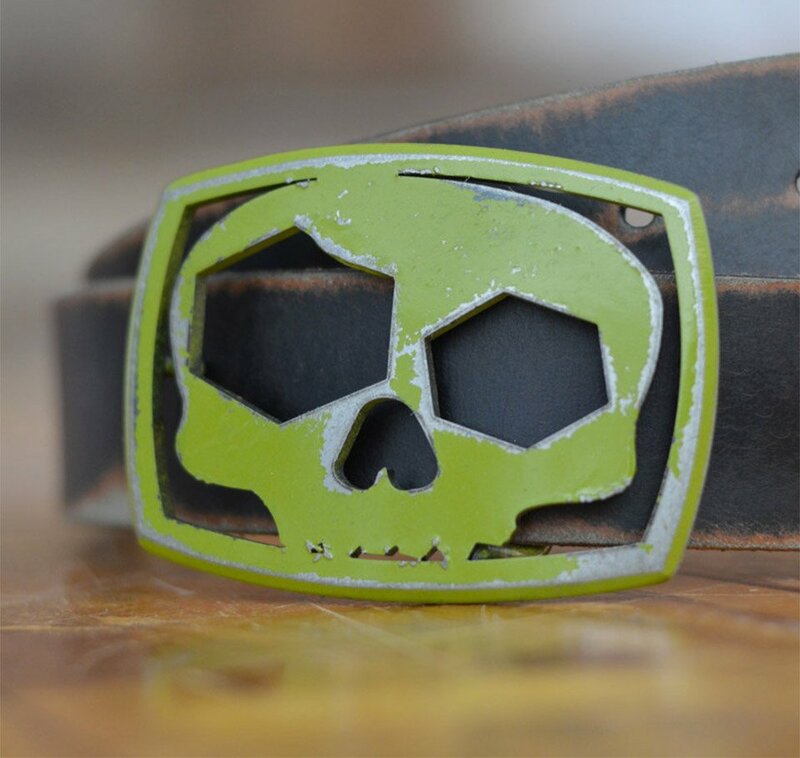 FosterWeld’s distressed steel belt buckle features an abstract skull with a couple of screwy lop-sided eyeballs. But there’s a reason for the crazy hex eyes. 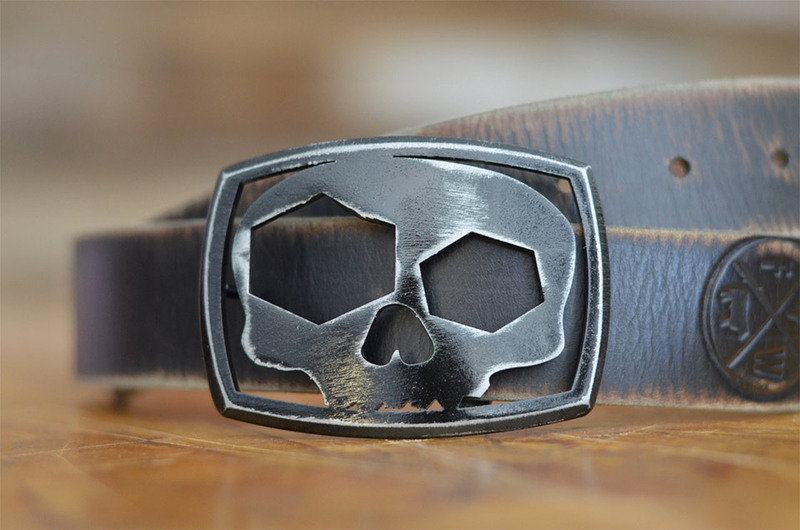 The bigger one doubles as a bottle opener. 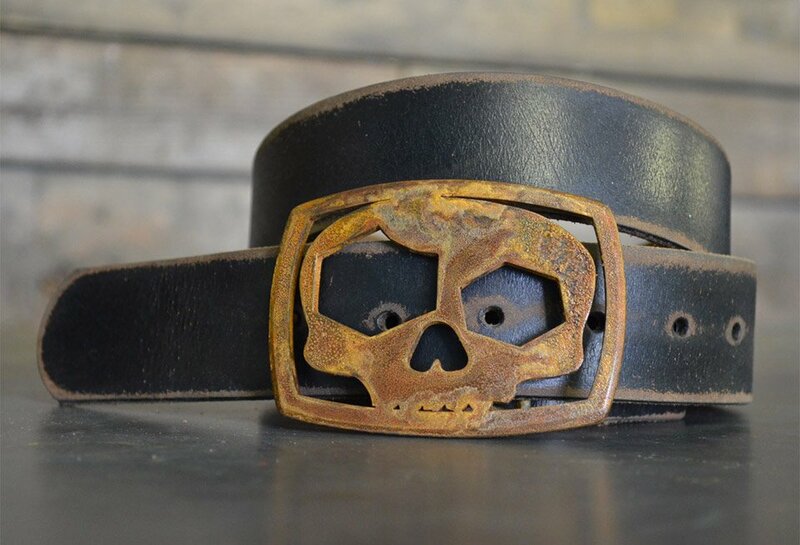 Also available in a leather belt/buckle combo for $49.